When most people think of chiropractic therapy, they think of back cracking and joint popping relief. 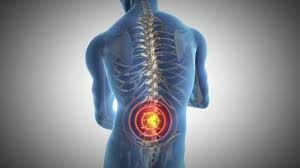 While this form of spinal manipulation is certainly popular, there are actually many other chiropractic therapy techniques. In this post we will explore just a few. Spinal Mobilization is a gentler, low-force technique that employs slow movement to mobilize a joint. There are various methods used within this approach. 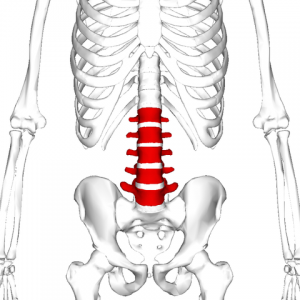 The Activator Method uses a spring-loaded tool that provides a low-force impact to the patients spine and/or joints. The Toggle Drop is a method in which the chiropractor presses down on the patient’s affected area at the same time that a section of the drop table falls, using gravity to make the adjustment. The Graston Technique is a form of manual therapy that uses instruments to massage the skin and also to gently scrape away scar tissue. This helps to break down scar tissue that impedes movement and causes pain and strives to promote better healing of the injured area. These are just a handful of the many techniques used in chiropractic therapy. It is a field that has come a long way since its founding in the 1890s and new advancements are being made every day! First, do your research. Chiropractic therapy is a growing field, and you may feel overwhelmed by all the choices. Asking your doctor for a recommendation is a good place to start. You can also ask friends, family members and co-workers who they see, but keep in mind that opinions can vary widely. Moreover, everyone’s body is unique and you want a chiropractor best suited to your specific needs. How long has the chiropractor been practicing? What kind of degree/education does he/she have? What techniques does the chiropractor use? Does the chiropractor have experience treating problems similar to yours? Asking theses questions is a great start, but remember to choose someone that you are comfortable with. And watch out for red flags, such as the chiropractor asking for a substantial prepayment or claiming to be able to “cure” chronic conditions such as asthma and heartburn. This guide should help you to make an informed decision when choosing a chiropractor. If you are looking for a reliable chiropractor in the Upstate area, we highly recommend this chiropractor Greenville, SC health center. For some of us, going to a chiropractor is a daunting endeavor. While many people enjoy its benefits, not everyone is completely comfortable with letting a stranger realign their spine. The cracking and popping noises also tends to makes some people nervous, but the relief a chiropractic visit brings can be dramatic, even euphoric. So, when do you need to go to the chiropractor? Whether you work at a desk or work on your feet, you are most likely experiencing some lower back pain. If it’s severe enough, you may be on medication ranging from aspirin to serious pain killers. Many people turn to chiropractors because they don’t want to have to take pain medication all the time, as daily use can lead to health problems. If you are suffering from any of these health issues, chiropractic therapy will probably do you some good. Even if you feel fine, a visit to the chiropractor has benefits for just about everyone. Most people are out of alignment, whether they know it or not. Poor alignment causes pain and affects your posture over time. So, do you need a chiropractor? The answer is YES! 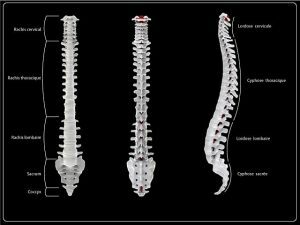 Posted on January 7, 2017 April 12, 2017 Leave a comment on Do You Need A Chiropractor?